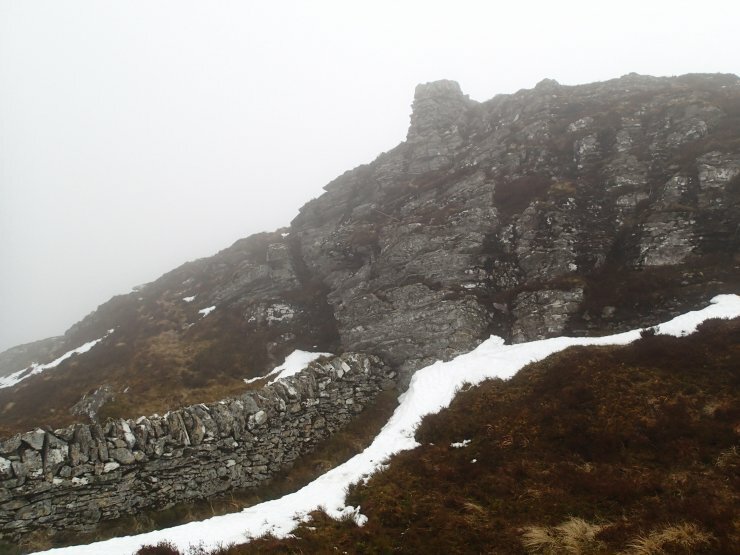 SAIS Creag Meagaidh Blog » Poor visibility again!! Today, I ventured westwards and up from Moy to the little frequented Coire nan Laogh on the SW flank of Creag Meagaidh. 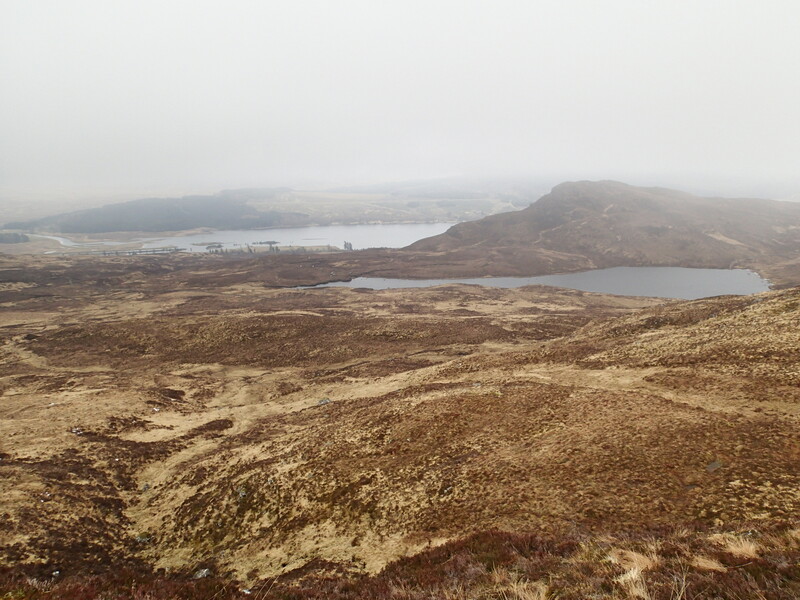 The cloud base was around 500 metres and once in the clouds visibility was poor. 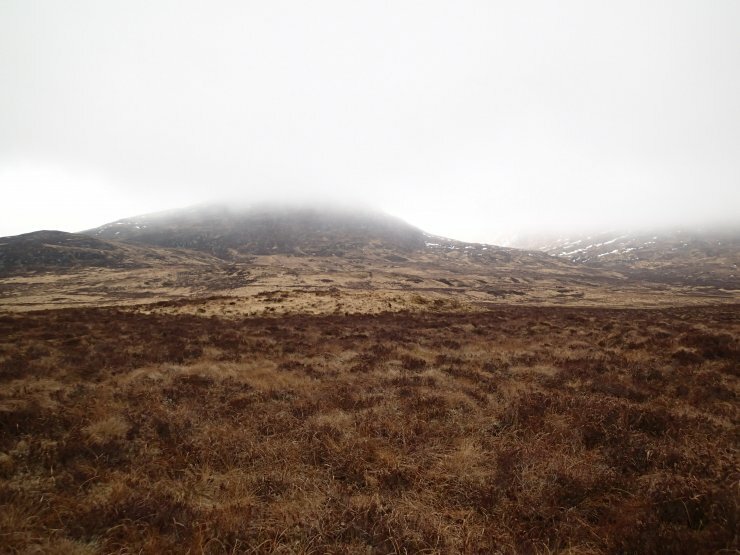 Looking up to Creag na Cailliche, with its head in the clouds, and to the right on the Eastern side of the Moy Burn the lower slopes of An Cearcallach. 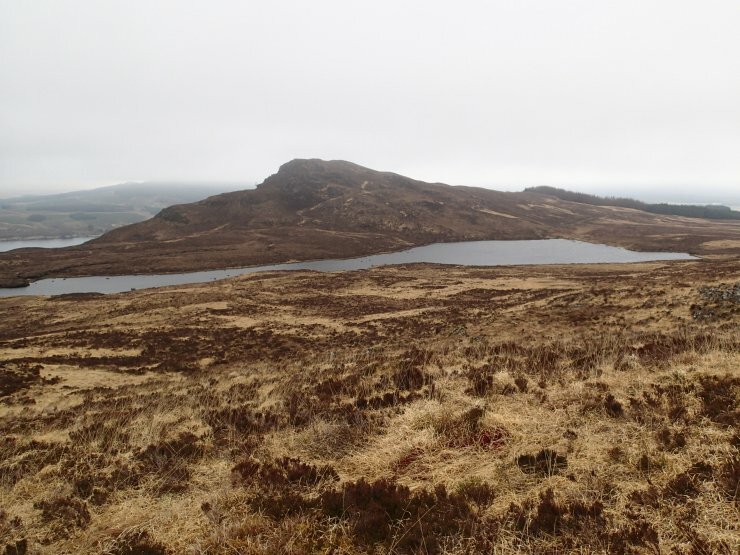 Lochan na Cailliche and North slopes of Creag Mhor. Loch Laggan beyond Lochan na Cailliche. 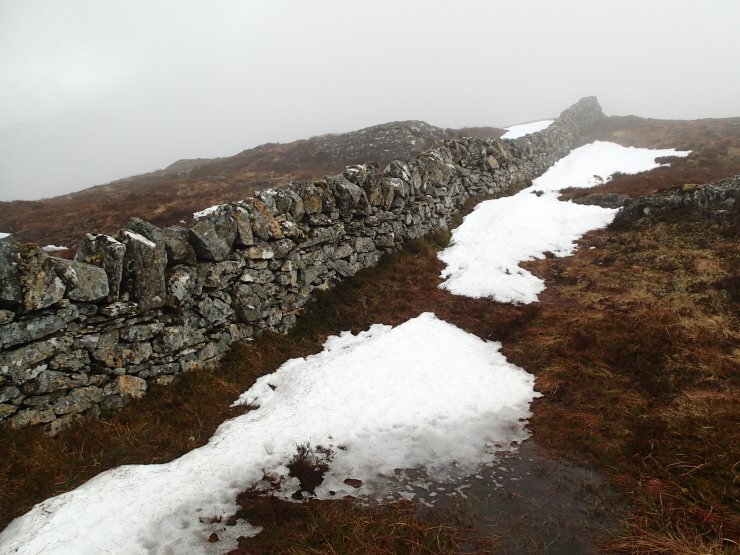 The ‘Moy Wall’, which has featured in previous SAIS Creag Meagaidh blogs (http://meagaidhblog.sais.gov.uk/2016/02/terra-incognita-the-moy-wall/ and http://meagaidhblog.sais.gov.uk/2016/03/moy/). At one point the ‘Moy Wall’ meets a small crag, continuing above. There used to be a wire fence joining the wall ends; only a couple of metal posts remain.